The popular RUSI(NS) Distinguished Speaker series continued on 4 October 2017 with a presentation by Commander Sheldon Gillis. 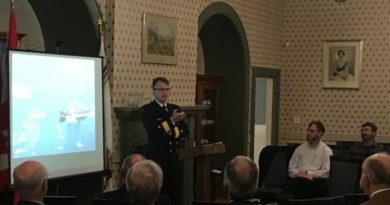 The charismatic Cdr Gillis gave an illuminating talk to an appreciative audience on the activities of Her Majesty’s Canadian Ship (HMCS) St. John’s whilst he captained the Halifax-class frigate last spring on deployment as the Royal Canadian Navy’s (RCN) contribution to Operation REASSURANCE. From 9 January to 14 July 14, 2017, Cdr Gillis and his ship’s company of 239 sailors and RCAF personnel conducted Roto 6 (sixth rotation) in support of Op REASSURANCE, taking on the mission from HMCS Charlottetown. HMCS St. John’s conducted operations in the central portion of the Mediterranean, the Black Sea, off of Syria, and near Iceland, before returning to their home port of Halifax. According to the commander, the post-Halifax-class Modernization/Frigate Life Extension (HCM/FELIX) ship and embarked Sea King helicopter performed admirably. In his opinion, the expenditure of billions of dollars on upgrading the frigates has proven itself in theatre. He is looking forward to the next technological and operational leaps forward when the RCAF’s new Cyclone maritime helicopter becomes available for operations. The commander is a long serving naval officer whose first major deployment was in HMCS Protecteur when she sailed in 1990 on Operation FRICTION to the Persian Gulf. Cdr Gillis has observed first-hand the sea changes of world naval power. To him, what was old is now new again. In the late 2000s, Russia was flush with revenue from oil sales. Portions of this windfall have gone to modernizing and beefing up an ailing Russian Fleet. While his frigate was deployed, a Russian carrier conducted air operations off of Syria, Russian surface ships and a brand new Kilo-class submarine were preparing to fire cruise missiles into Syria, and numerous Russian ‘research’ vessels were in the Mediterranean. For 21 days, he and his company kept constant surveillance on the Kilo-class submarine whilst she operated off the coast of Syria. As he described it, he was conducting old school Cold War symmetric anti-submarine operations. 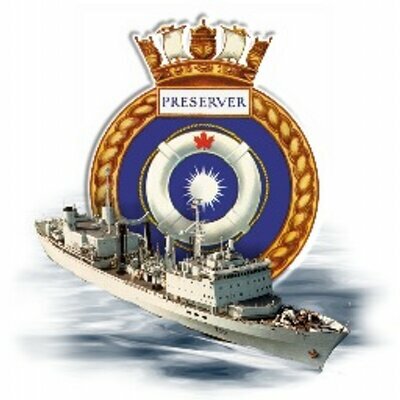 These skill sets used to be the raison d’être of the RCN and one of its main foci. Thankfully, the ship was able to pivot back to this vital role. Apparently the modernized frigates and younger sailors can ably handle the ‘novel’ task of Russian sub-hunting that was second nature to sailors of a past generation. Other novel dealings for the Canadian frigate were the numerous ship-to-ship interactions with the Russians. There was quite a bit of interest in St John’s whilst they spent 21 days in the Black Sea conducting port visits and patrols. Whilst they were shadowing the Kilo-class submarine off of Syria, there were at least 10 to 12 Russian surface ships in the same small area of water space. Although both navies act professionally, they each realize that everyone is keeping a wary eye on each other. There was a significant shift in naval operating dynamics where the normal exercise safety factors did not exist. Most navy personnel are used to the somewhat artificial exercise parameters and haven’t been exposed to real world symmetrical threats. As Cdr Gillis stressed, the Russians are not our enemy but they are worth keeping more of an eye on in the future. 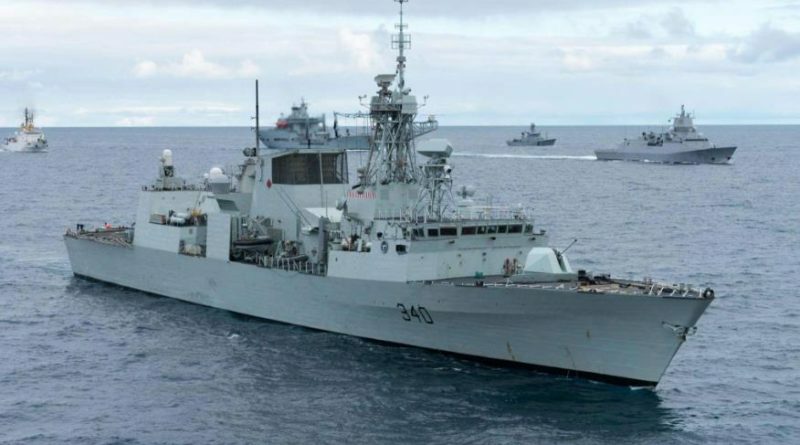 Touching on the future course of the RCN, Cdr Gillis opined that although his frigate, helicopter and company acquit themselves well with respect to the tasks assigned to them, it is vital that the RCN pushes forward with the Canadian Surface Combatant project. Other world navies such as Russia and China are boosting their naval inventories and sea presence. In order to keep up, Canada needs to keep re-investing in our own sea going capabilities to deal with the resurging symmetric abilities and/or threats. 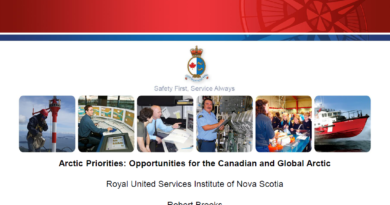 In addition, the RCN’s ‘to do’ list is not shrinking but expanding year upon year. A nation’s naval power is as important in today’s world as it has ever been. RUSI(NS) members and invited guests enjoyed Cdr Gillis’s frank and open presentation and follow on discussion of HMCS St. John’s latest European deployment. It was quite evident that he was proud to have commanded a RCN warship. For the audience present, it was a rare opportunity to hear from a senior naval officer who had been out ‘doing the business. Editorial Staff at RUSI (NS). This work is the sole opinion of the author and does not necessarily represent the views of the Canadian Department of National Defence, the Canadian Armed Forces, the Royal Canadian Mounted Police or the Royal United Services Institute of Nova Scotia.